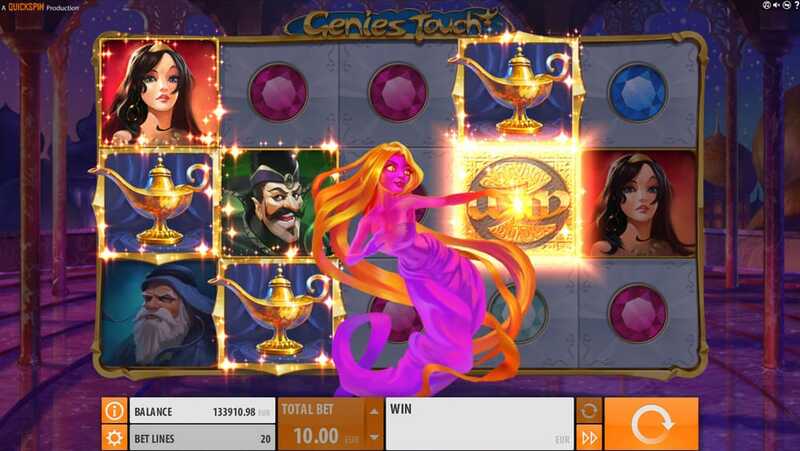 Genies Touch online pokies by Quickspin has been specifically designed with mobile users in mind. The features are endless and cartoon graphics are something to behold as the magic Genie uses her powers to change symbols. This game will transport players far away into a Middle Eastern land with Aladdin like symbols including Jasmine, Jafar and Aladdin himself. Treasures await every spin with some excellent bonus features. 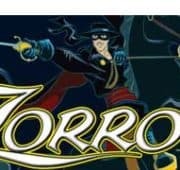 Spin on our instant free slot, no download or real money required. You will be amazed at just how similar these Quickspin slotsare to Australian pokie machines. Spin up 3 or more magic lamp symbols to win the Genie’s Touch feature as she appears out of each lamp. She turns adjacent symbols into matching symbols. This is a really regarding bonus with big payouts on offer whenever the Genie appears. The Genie will always pick the best winning combination when revealing the mystery wild symbols. If that’s not enough to keep you satisfied, there is a Free Spins game with extra magic lamp symbols to keep the free spins re-triggered. During Freespins extra Magic Lamps are added to the reels to create further wins and to enhance the ability to re-trigger. 3 or more Lamp Symbols activate the Genie’s Touch feature and an adjacent symbol is randomly selected wild to create the win. Symbol addition in Genie’s Touch One of the selected symbols will be used to replace all other selected symbols, including the Magic Lamp symbols. 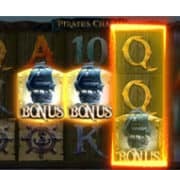 The slot algorithm will always select the symbol that creates the best possible winning combination. Take a ride on your magic carpet to a land far far away and be immersed in one of the best pokies to play online.